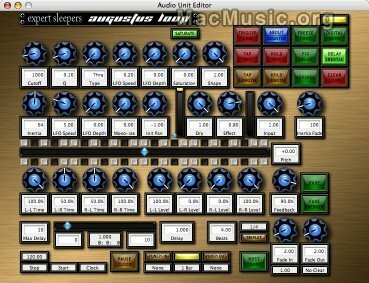 Loop wizards and software authors from Collective.co.uk have posted a new look for their delay/looping Audio Units plugin Augustus Loop. The design of the new skin is a little more traditional than the original, and is available as a free download from the site. Users are encouraged to submit their own replacement graphics for consideration. Augustus Loop is authored for Mac OS X and is available as a Universal Binary.